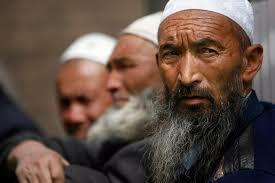 However, despite the risks, some Uighur students continue to fast. 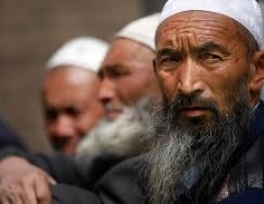 The Chinese authorities in the province of East Turkestan (Xinjiang), have been forcing Muslim Uighurs to break their fasts after it was declared that he observance of the Islamic holy month of Ramadan was banned. A Muslim university student, who wished to remain anonymous, in the city of Kashgar, explained that the authorities had increased their restrictions on religious observance during the month of Ramadan, including a ban on praying and fasting. "When they notice we are fasting they force us to break our fast. When we refuse to break our fast they threaten to expel us and not give us our diploma," the student said. The student also said that dorm rooms were being inspected at the time of suhur, or the morning meal, to check who was up eating. Those caught would be black-listed. During the day, school staff hand out food and water to students and force them to consume it in front of them. Restaurants are also forced to close before iftar, the fast-breaking time, and those that don't face a fine. Uighurs are the native Turkic population of East Turkestan, and have long complained of decades of religious suppression at the hands of the Chinese authorities. Fasting in Ramadan is one of the five pillars of practice in Islam, and requires all Muslims who are capable of doing so to stay away from eating and drinking from the onset of dawn till dusk during the lunar month.